The next issue of WSS - due out very soon! 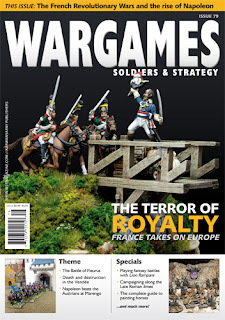 - includes an article by me about playing fantasy games with Lion Rampant. It's called Dragon Rampant. "But hang on…" I hear you enquire, 'isn't that the name of the fantasy version of Lion Rampant due to publish in December?" Yes, that's correct! I say if it's a good title, stick with it. The truth is, I'd written this article before I realised that there might be some interest from Osprey in a fantasy adaptation of the rules. What you'll find in this article are some of the early playtest ideas for the fantasy version - some made it into the final book, some didn't. I think this makes for an interesting read, especially when you get to compare it to the final version in December. 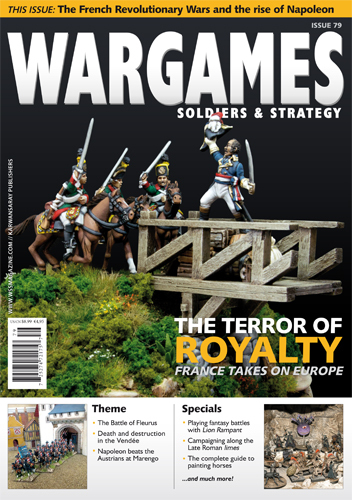 Of note elsewhere in this issue is a scenario by Simon MacDowall set on the Rhine frontier in 406/407. I'm looking forward to that one!